Whew. 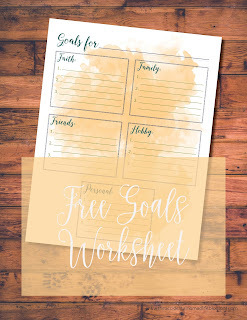 It's September...Last I left you with my goals was June, so today I will touch on those, and dive right into goals for this month. We chalked July full of family events, transitioning, and outdoor time and before I knew it, July was GONE. August was about the same. None of it. I did none of it. But grace - life was hectic and stressful, and loaded with children, and sweet memories were made. 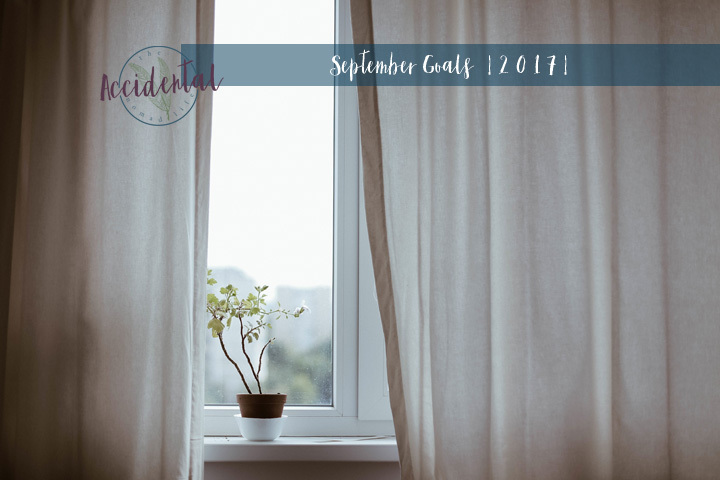 As we get into September, Homeschooling helps to get everything back on pace, and create some order to our schedule, so taking care of goals should be easy this month. So...You'll notice none of them changed. They're good goals to have for a month, and until I can accomplish them, I think I will keep them the same. No point in changing them, if I don't accomplish them - they are super attainable ones if I'm focused. Check in next week to see my goals for school, and an overview of what I'm hoping for the year!